Helping the West Valley get well and stay well. 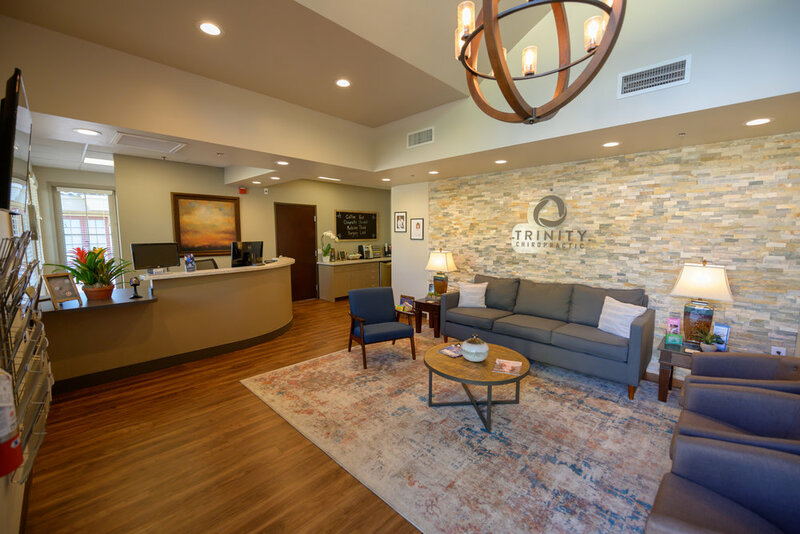 Our mission is to help the people in our community regain and maintain their health through corrective chiropractic care, allowing the Innate healing ability of the body to express optimum health and well-being. We believe in relationships and the importance of knowing the people and passion behind Trinity Chiropractic. The biggest testament to Chiropractic is the stories of healing from real life people. Check out these featured stories of healing from some of our practice members. Doesn’t get better than the Iszlers. Stellar, professional, knowledgeable folks. I have been a patient of Dr. Iszler since 1999. I have had many aches and pains due to my physical job at UPS. Dr. Iszler has always given excellent adjustments and has treated everything from my neck to my back, alleviating my aches, pains and headaches. Dr. Iszler is an awesome person in addition to being an awesome chiropractor. I highly recommend Dr. Iszler to anyone who may be suffering from pain. He is the doctor for you. I guarantee it! Dr. Iszler ran an award-winning practice in Casper, Wyoming. Our community loved and valued Dr. Iszler’s experience so much so that he was voted Best Chiropractor in our community. Our crazy weather had the Iszler family searching for warmer terrain, which they found in Arizona. Arizona is lucky to have such an amazing doctor and if you haven’t used his service yet, I highly recommend you do! Dr. David Iszler is an exceptional chiropractor. I have lived with pain for over 13 years and have tried everything: PT, Massage, Dry needling, surgery, pain meds, yoga, modifying my workouts, etc. Nothing worked and I never believed in Chiropractic care until I met Dr. Dave. He explained what Chiropractic care is, what it does for the body and helped ease my reservations. After the first few visits, I was PAIN FREE!! Dr. David Iszler and his wife, Sheryl, are caring and serving business owners and support their community, church and friends. I HIGHLY recommend Trinity Chiropractic! Dr. Dave has helped my family so much to be pain free. We think of him as a part of the family! I can always trust that he will put 110% when it comes to my chiropractic needs. He is honest and very professional. I highly recommend Trinity Chiropractic to all my friends and family! I have had to be under chiropractic care since I was in college. It was a blessing when I began to be treated by Dr. Iszler and his staff. I am treated as a person not just a number and he takes the time to listen, take x-rays and then explains to me in understandable language just what is happening and what he is going to do to treat it. The office staff is so friendly and they are so caring. It is nice to go into the office and be called by my first name and then asked how the family is doing. Dr. Iszler is never in a hurry. He is efficient and very professional. I have been to many chiropractors because of my traveling for my job and I have never found as good as chiropractor as Dr. Iszler. Not only does he care about his patients, he only adjusts what needs to be done! He's friendly and makes you feel like you are a part of the family. Thank you! I was suffering with constant, painful headaches and I had taken my fill of painkillers. I happened to hear Dr. Iszler speak on the benefits of chiropractic and with some skepticism, I booked an appointment. Dr. Iszler has a great warmth and is genuinely interested in you and how he can help resolve the symptoms. His initial consultation was thorough, including x-rays, and he went in to great detail showing me what was misaligned, what affect it can have and how we go about resolving the issue. Needless to say, the treatment worked exactly to plan, my headaches disappeared within the first week and have not returned in the six months following. We’d love to have you stop in for a tour of our office. Fill out the form below and one of our team members will be in touch with you.